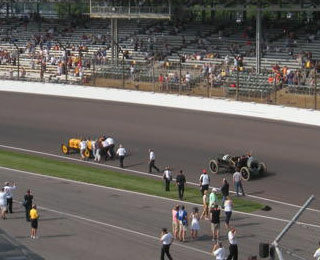 The 2011 Indy 500 Parade Lap was led by the historic 1911 Marmon Wasp, winner of the first Indy 500. Although successful in completing two parade laps, the Marmon had difficulties starting and running. The cause of the Wasp's problems was recently discussed on the Yahoo Racing History Board, along with a request for assistance. The Black Beast approaches the Marmon Wasp. When the Marmon had trouble running, the "Black Beast" was asked to take the lead. 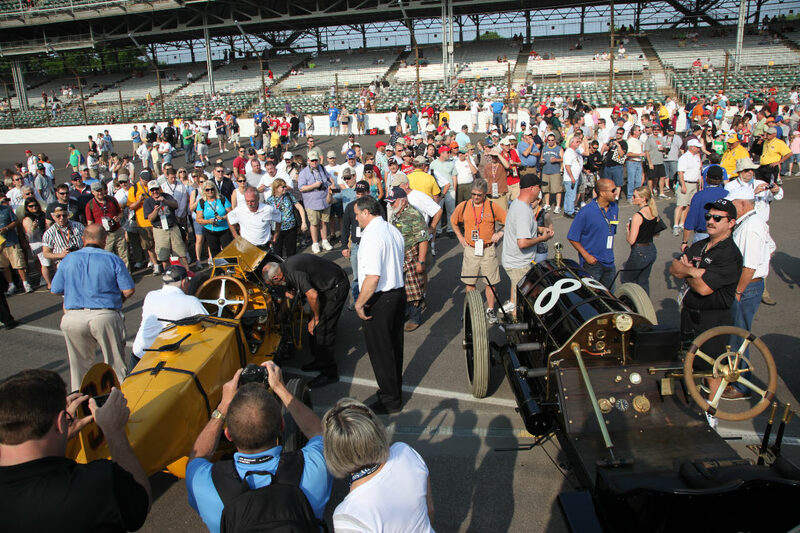 What happened to the Marmon during the Parade Lap? 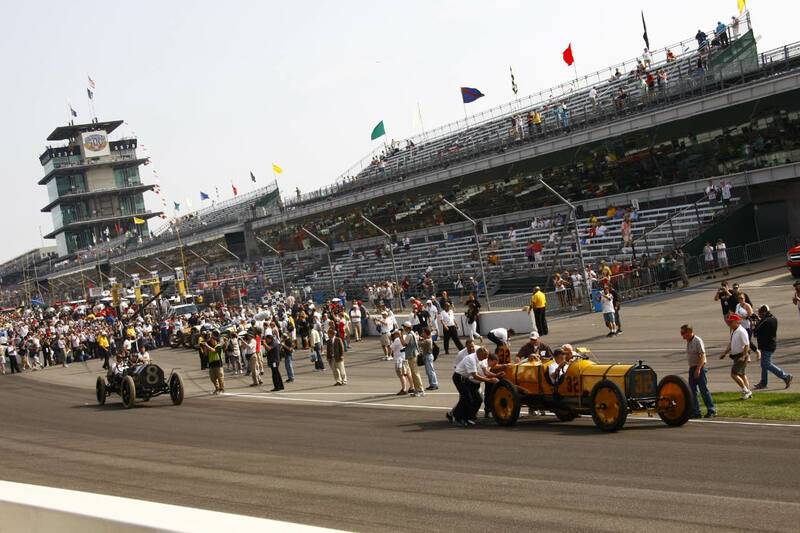 Tom Williams of Temperance, Michigan reported on the Yahoo Racing History Board: "The Marmon Wasp,Ray Harroun's 1911 Indianpolis 500 winning car, threw a rod as Parnelli Jones drove it on the 100th Anniversary 500 parade lap. Anyone know of a spare Marmon engine/block. The Speedway could use one." Steve Hammatt President, Skagit/Snohomish Reg Group HCCA responded with a suggestion: "According to the last published HCCA Roster, there are 17 Marmons listed; 5 ea 1910, 5 ea 1911, 4 ea 1912, 1 ea for 1914, 1915 and 1916. I recognize a few of the owners that very well may have additional parts for their vehicles. If anyone knows where Marmon engine parts can be found, please send an email to me at Howard@Kroplick.com . Loved the videos and pictures. I was helping push the Wasp to try to get it started. When it finally fired up, A.J the mechanic fell and was being dragged down the track. I ran around and picked him before he was run over by the rear wheel. My wife got pictures of the whole event and I would love to share them with you. Truly one of the greatest experiences of my life! Thanks for the amazing photos. I will feature them next week.